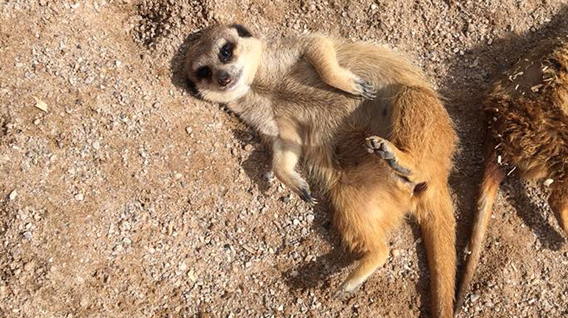 Meerkats love to eat fruit, insects, birds and eggs. 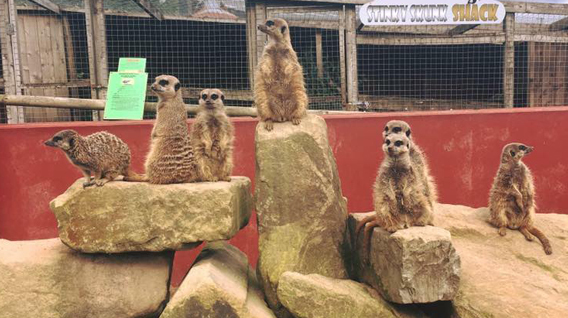 A group of Meerkats is called a Gang or a Mob. Only one female in the Gang will breed. The dark patches around their eyes helps them to be effective lookouts by reducing the glare of the sun! A male is known as a MALE, a female is known as a FEMALE and a baby is known as a KIT. A group is known as a BAND/GANG/MOB. 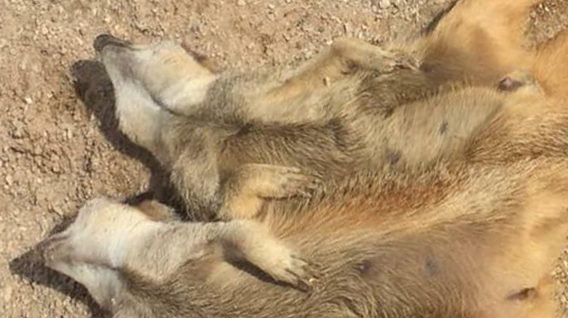 In the wild Meerkats with live in large groups, some with huge families of up to 50. They are a member of the Mongoose family but are very different from other Mongoose species as they are very sociable. 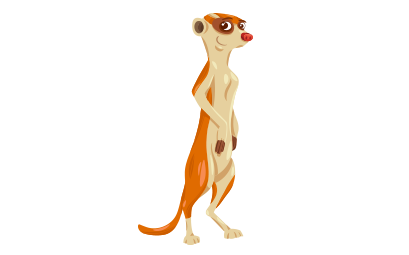 The Meerkat is a small sized mammal with a long, slender body. They are sandy to light brown in colour with 8 darker stripes on their back. They have elongated muzzles with a black nose (and a good sense of smell) and dark coloured bands over their eyes. They have long sharp claws that are used for digging. 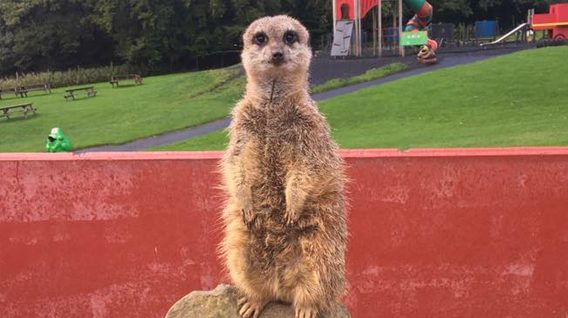 One Meerkat will stand guard watching for predators whilst the others will hunt for food. 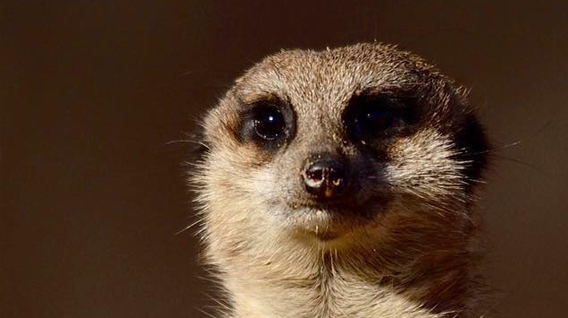 If the Meerkat on guard spots approaching danger they will sound an alarm to the rest of the group. Long howls are to warn the others of approaching birds of prey, double barks are to alert others of predators on the ground. A group of Meerkats is dominated by 1 alpha male. ORIGIN: They live in all parts of the Kalahari Desert. LONGEVITY: Can live 12-14 years in captivity. WEIGHT: They weigh less than 1 kilo. SIZE: Can grow a length of 25cm to 35cm (without the tail). DIET: They feed on small rodents, birds, eggs, fruit, vegetables and insects. GESTATION: A female is pregnant for 77 days and will give birth to 1 to 8 kits.